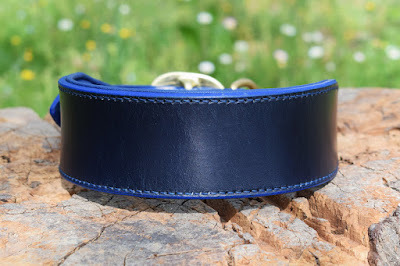 Wide padded collar in size Large made for a dobermann. It's made in blue leather with neoprene padding lined with thin blue leather. It mounts an oval solid brass 1" wide, while the wide part measures 2". The stitchings are made with blue polypropylene thread 0.8 mm wide. This is the model I usually make for breeds like dobermann and rottweilers. The dee is mounted after the buckle, so to reduce the friction points and avoid contact between the dog coat and the buckle. 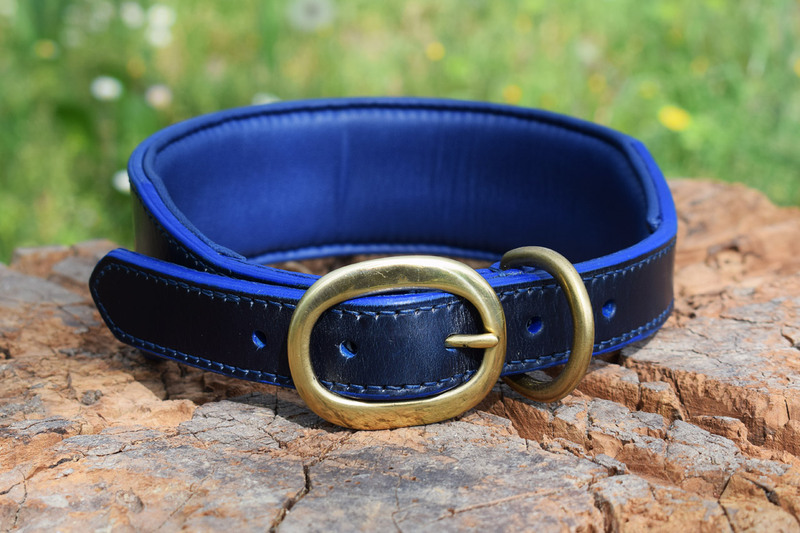 It's a tough collar, suitable for these breeds. 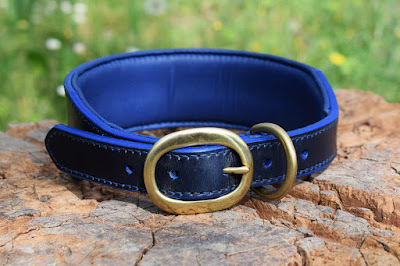 I can make this collar in 8 different leather colors: black, dark havana, burgundy, conker, hazel, London tan, red and blue. For the lining, available colors are 10: same as leather plus forest green and white. 11 models of buckles available, in solid brass and stainless steel. I can make this collar within one week from order adn ship it worldwide with registered mail. Contact me for more information!